JVB and JVA will take the floor at 5:30 and Varsity will follow at the conclusion of the JVA game. Come on out and cheer the ladies on! Multiple Teams · Sep 7 Come out TONIGHT 9/7/17 and cheer on your Warrior Girls Volleyball vs. Springfield! 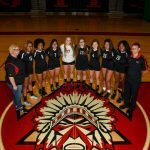 Come out and support your lady Warriors Volleyball Teams.. JVB and JVA will take on Springfield starting at 5:30 and Varsity will begin at the conclusion of the JVA game. Hope to see you there!!! 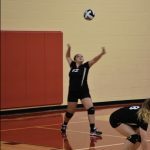 Come on out to Kettering and cheer on your Wayne Warrior Volleyball teams: JVA and JVB will start play at 5:30 and Varsity will follow at the conclusion of the JVA game. Hope to see you there! Come support your Wayne High School Girls Volleyball teams at Centerville High School. Freshman and JV games will start at 5:30 and Varsity will play at 7:00. Hope to see you there!